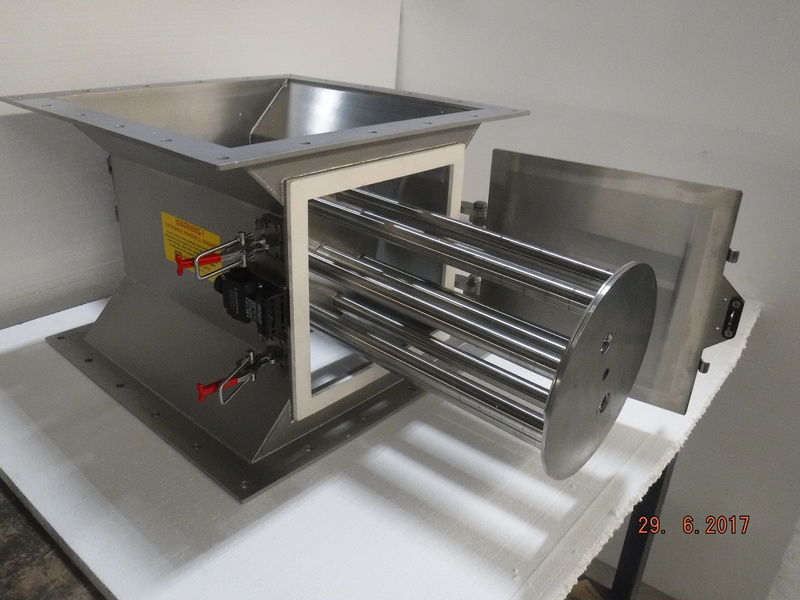 Greenwood Magnetics, Rochdale, UK, reports that magnetic screening is often used to remove metal contamination from fine powders as they flow down supply lines. The practice is common in the food and pharmaceutical sectors. However, disruption of flow caused by the screening apparatus can lead to bridging or ratholing where the powder ceases to flow uniformly. In extreme cases this can leave pockets of powder static in the line, potentially causing a range of problems that are associated with product non-uniformity, such as excess waste and rework, a reduction in quality control and erratic dosage weight and mass. The company has developed a new rotary magnet unit which addresses these issues. It allows companies working with fine powders such as milk powder, silica and in some cases flour, to maintain efficient product flow while ensuring metal contaminants are removed.